Another cool port with more advanced gaming platforms, which should be in the collection of every novice Jedi. The game focuses on role-playing and non-linear passing. Get ready with the development of the hero, the dialogues with different outcomes and a variety of minor characters on your way. The picture loomed sad. Later, the first screenshots and detailed technical descriptions appeared, and independent publications with a vengeance were rumored about the total Xbox exclusiveness of the project. And if the pictures are pleasing to the eye, then the mere thought that the “RPG from Bioware” will be released only on consoles caused purely physical irritation. LucasArts’ later statements about the possible porting to the PC six months after the Xbox-version was released did not add optimism. At some point, the project ceased to interest me and was indifferent until July 16, 2003. That day, when the thunder struck. 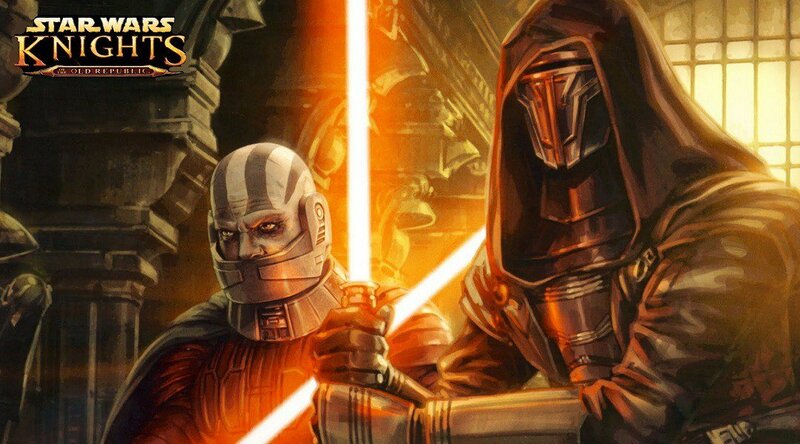 A series of huge reviews of Knights of the Old Republic in the Xbox-press, the average rating score is 95% of the possible 100, the mass of loud epithets and the absolute sales record for the genre is 270 thousand copies in two weeks from the date of release. And it was only the reaction of the American market – Europe “Knights” stormed three months later. It was stormed – yours truly, being at that time in Barcelona, ​​personally saw Spanish gamers in two hours gutting away all the stocks of the Caballeros de la Vieja Republica (“only” 79 euros per box) in the largest electronic supermarket in the city. There was no limit to curiosity. The fan’s heart fluttered. Blind desire won the mind. Enemy X-box was bought for a single game … and all the next week I spent at the TV, traveling through a distant galaxy. Both then and now, during the n-twentieth passage of the Knights of the Old Republic (already on the computer), the whole range of feelings from this process can be described in one simple word. Delight. For whom: for those who at one time missed this masterpiece on consoles and PCs, definitely should play Star Wars universe fans.